Oxlade Chamberlain is currently a Gunner, but his contract allows him to be one only for a further year. The winger has rejected offers for a contract extension at the Emirates, and according to reports coming in from the Mirror, he could soon be making a switch from London to Merseyside. Jurgen Klopp has been an admirer of the English attacker, and is desperate to bring him to Anfield during the summer. 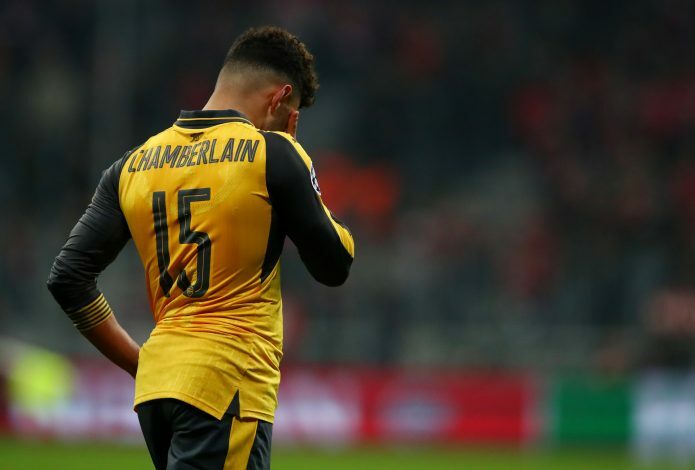 The player is frustrated by his lack of game time under Arsene Wenger, and despite the club offering him an increase in wages, he refuses to stay. The Kop have already welcomed Mohamed Salah this season, and Chamberlain could fit perfectly into the style of play Klopp prefers to bring out onto the pitch. Alex might be itching to get some games under his belt, but the chances of him joining a rival club are currently 4/10. AC Milan have been on a spending spree like none other this transfer window, and a result of that, could be letting current players leave the squad. Tuttosport (via Football Italia) reports that Marseille have agreed a deal to sign Carlos Bacca from the sleeping giants of Europe, and a deal worth €15m could soon be taking place. The Colombian signed from Sevilla in 2015, and despite scoring 34 goals for the Serie A side, he fell out of favour in the season gone by. The Italian club has been signing players left, right and centre during the ongoing transfer window, and hence, Bacca fears for his role in the team in the upcoming campaign. Heading to a club where he might not have to fight for a starting place will make more sense for his career as a footballer. The chances of him heading to the Ligue 1 are currently 8/10. 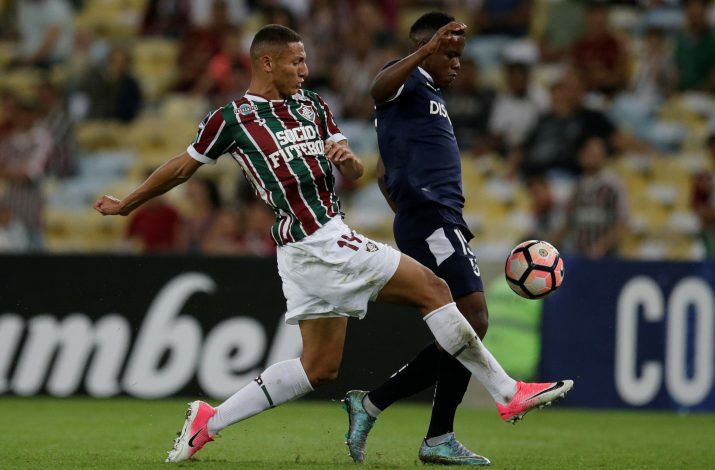 According to Gianluca Di Marzio, Chelsea are front runners and favourites to sign Fluminense forward Richarlison this summer. The Brazilian under 20 star is a nightmare for defenders, and is exactly what Antonio Conte wants in his side after the departure of Diego Costa. The London club has always had a knack of bringing the best Brazilians to their squad, and after David Luiz, Willian, and Kennedy’s success, the arrival of Richarlison might not be much of a surprise. The forward managed to score 10 goals last season, and could be the perfect backup option for the Blues’ new star striker Alvaro Morata. The English club will be facing competition from Inter Milan, Sampdoria, and AC Milan for the forward. However, the chances of him coming to Stamford Bridge are 6/10. 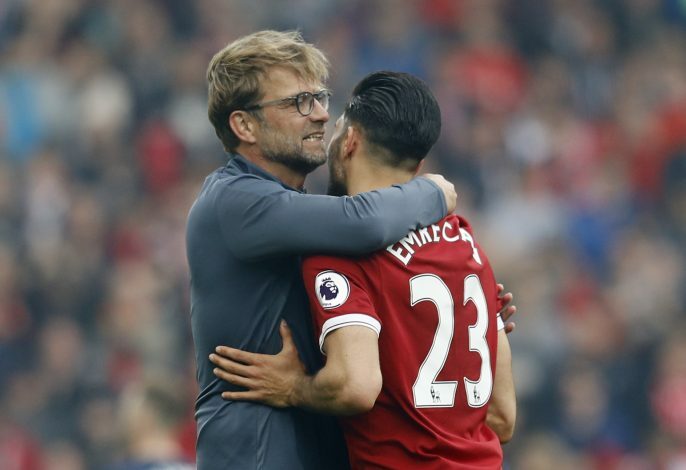 Liverpool fans might be in for some disappointing news, as Tuttosport reports that Emre Can could soon be sold to Juventus for a fee of £27-31 million including bonuses. The 23-year-old is in the final year of his contract with the Premier League club, and is assumed to have been tempted by the Old Lady’s offer to bring him to the Serie A. The Merseyside club does not want to lose the German star to the Italian giants, but they fear that if the deal does not take place this year, it will be done next season, and without any fee involved whatsoever. Jurgen Klopp is currently building a side based on pace, creativity, and flair, and although Can might not be the highest ranked in such qualities, he seems to be integral in the plans of the German boss. The midfielder faces a tough choice ahead of him, and staying with a side roaring to contest for each title might probably be the better one to make. The possibility of Emre Can heading to the champions of Italy is currently 5/10.